Melvin went for his 2nd annual visit to the neurologist in December and the specialist saw little change in his Parkinson’s symptoms. He didn’t prescribe any meds either so we were pleased knowing that it hasn’t progressed to the point of needing meds and we will continue to work at changing our diet even more so the disease will not get worse. We came home determined to keep eating well and even adding more nutritious foods to our diet. I am trying to prepare very healthy meals & snacks every day by including as many vegetables, fruits and seeds as possible. We use extra virgin olive oil in our salads and coconut oil or butter in cooking and baking. Of course as seniors we do go out to a restaurant with our friends at least a few times a month, so then we try to make up for it the next day. Nothing compares to healthy meals prepared from scratch. For the last year Melvin has been taking a whey protein each morning that is made from organic cow’s milk plus probiotics & a few supplements. COCONUT OIL – for Parkinson’s & our memory too! I know that coconut oil is also good for our memory and I am always forgetting things, so I am sure that this tablespoon of healthy fat will benefit me as well. I still mix our butter with coconut oil for spreading on bread instead of using just butter. That way we are getting more coconut oil through the day. Here is my butter recipe. 1 cup coconut oil, nuked to soften for 20 seconds. Chop the butter into cubes. Mix the butter & coconut oil together well in a deep bowl with a hand blender. Spoon into small containers and refrigerate. I put it into small glass fruit dishes and store the one we are currently using in the cupboard. Whether it is summer or winter, room temperature provides just the right consistence to spread. Our son wants to eat more coconut oil so he mixes up a cup of creamed honey with ½ cup coconut oil the same way as he does the butter. They eat this spread on toast. We eat a delicious porridge each morning that is made up of oatmeal and very healthy seeds. We love it and feel we are getting many nutrients that benefit our health. Gradually we realize we are feeling better, and we have more energy. We want to continue to eat this porridge until it gets hot in spring. We will then go to a healthy granola until the winter comes again. Cook in a pot on the stove for 5 minutes or in the microwave for 3 minutes. Sprinkle 2 heaping tablespoons of crushed flax over. Pour over ½ cup milk or ½ cup pure juice with no sugar in. (apple, prune etc) Enjoy! This bone broth is also good for our brain. 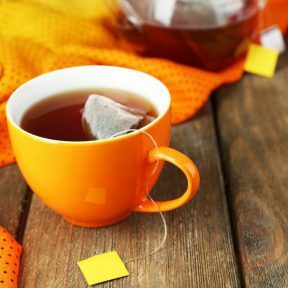 They are now saying bone broth can then be a benefit for those with Parkinson’s disease. 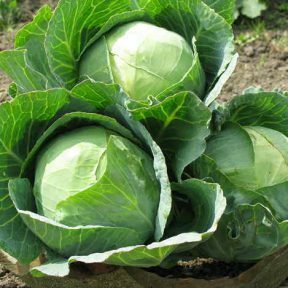 They are a great well balanced source of all required proteins, all essential fats and most vitamins. They are a great seed for those who cannot eat gluten, lactose, sugar, fish, and nuts. 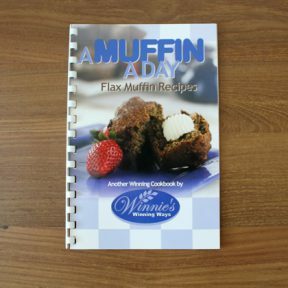 “A MUFFIN A DAY” cookbook on my website has so much information on the benefits of flax for our health. Next post I will share the gift we got for Christmas from our children that is really helping Melvin’s Parkinson’s. I am using it to; and loving it!